The museum's pair of Ruby Slippers from The Wizard of Oz returned to display on October 19, 2018, after spending time in the museum's Conservation Lab. In a memorable scene from the 1939 movie The Wizard of Oz, the Wicked Witch of the West tries to retrieve the Ruby Slippers off the feet of her dead sister, but they disappear in front of her eyes. "What have you done with them!" she demands to know from Glinda, the Good Witch of the North. Glinda points her glistening, star-tipped wand to the feet of Dorothy Gale and responds, "There they are and there they'll stay." 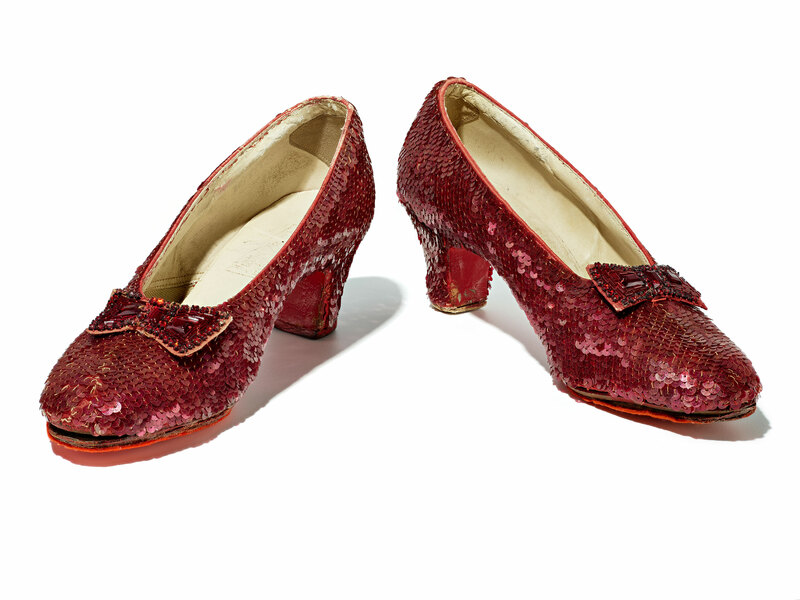 Today, Glinda would likely be relieved to know, the Ruby Slippers stay here at the National Museum of American History. But what became of Glinda's wand? We don't know where wands used in the movie ended up. Multiple pairs of Ruby Slippers were created for the movie (ours were likely used in dancing sequences), and it looks like more than one version of the wand was created as well. The one on temporary display here at the museum wasn't used in the film. Instead, it was produced for publicity photos to be held by Glinda, played by Billie Burke. Lent to the museum by Wizard of Oz aficionado Randy Struthers, a librarian in Plano, Illinois, the wand points to another aspect of movie magic—marketing. Still photos would have been used to promote the film. Why would Glinda be photographed with a wand she didn't use in the film? Perhaps there were multiple iterations of the wand created and this was an earlier or later version—or perhaps this wand was designed to look better in black-and-white photography. 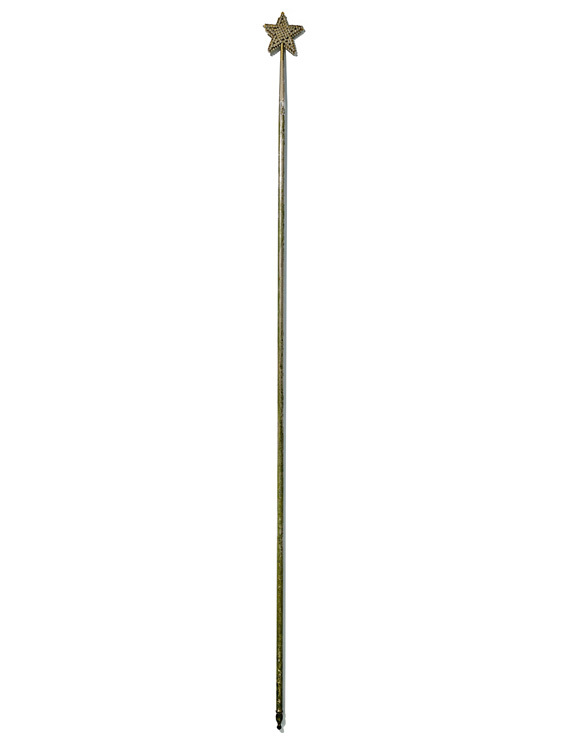 Struthers, a Wizard of Oz researcher for decades, was unable to locate either of the two wands that appeared in the movie. So he did the next best thing, purchasing the studio prop in October 2017 from a private owner he tracked down after years of detective work. After over 200 hours of conservation work and study, the Ruby Slippers returned to display in their own special gallery on the museum's third floor. A mural by D.C.-based studio No Kings Collective sets the scene. 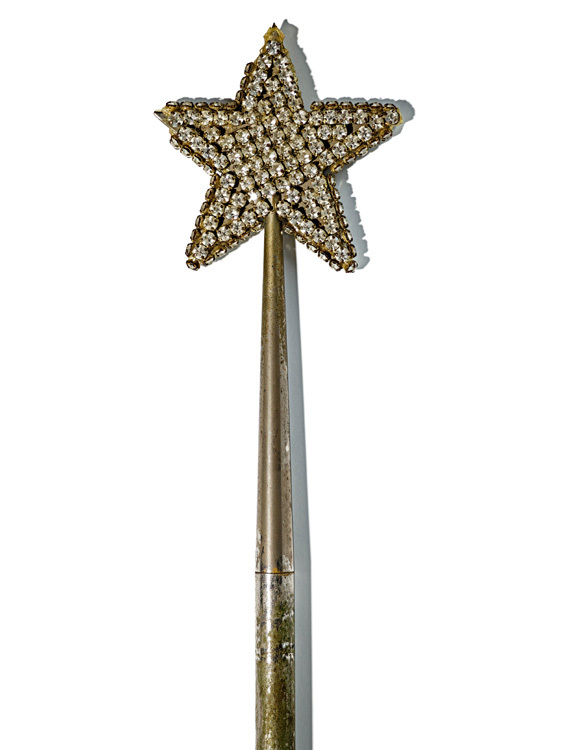 Struthers, who has been recreating objects from the movie for two decades, said his research on the wand included comparing it to one that Billie Burke used in a Christmas card in 1939 with the greeting "May your dearest wish come true." Glinda is never without her wand in the movie, and the magical transfer of the Ruby Slippers to Dorothy is only one of the scenes where it appears. The wand directs Dorothy to the beginning of the Yellow Brick Road. And the wand is waved as Dorothy begins to say, "There's no place like home." Ryan Lintelman, the museum's curator who oversees collections relating to The Wizard of Oz, said the wand is important because it's "the best surviving prop or costume piece to represent the character Glinda." "Glinda acts as a protector and guide to Judy Garland's Dorothy as she navigates her way through the fantastic land of Oz," Lintelman said. "Although this wand was probably only used in publicity photographs and not in the production of the film, it is likely the only surviving wand." 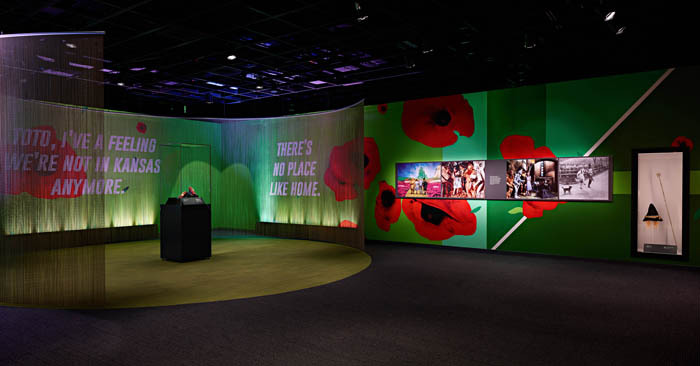 "On display here in the museum, the wand is reunited with the Ruby Slippers and Scarecrow hat for the first time in a museum exhibition," Lintelman said. "We hope that visitors will enjoy seeing these treasures of film history together." "I've always been attached to magical props," Struthers said in an interview. "I made my own when I was a teenager. I think it can appeal to a lot more than Oz fans. It will be a nice surprise, because up until now, nothing from Glinda has shown up in the museum." Struthers said Billie Burke, who died in 1970 at age 85, described her character as "a good fairy." Struthers added, "A fairy princess is how a lot of people describe her." Visit soon to see the Ruby Slippers and the wand together. Through the end of February 2019, you'll also notice another object from The Wizard of Oz on display: Scarecrow's hat. 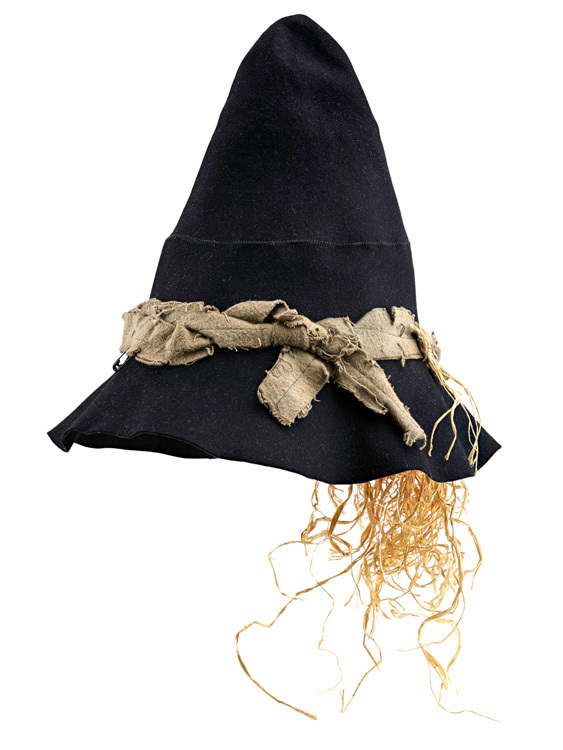 Worn by actor Ray Bolger in The Wizard of Oz Scarecrow's hat is too fragile to be on permanent display. After attention from the museum's conservators, it's on temporary display near the Ruby Slippers through the end of February 2019. Larry Margasak is a retired journalist and a volunteer at the Smithsonian's National Museum of American History. Past articles have included visitors' emotional attachment to the Ruby Slippers; the return of baseball's All-Star Game to Washington, D.C., and history in the second half of the 1800s as seen through the diary of piano manufacturer William Steinway. The museum extends its thanks to supporters of the Ruby Slippers conservation effort through Kickstarter.